How to do everything PnF! At the bottom of the page are links to 13 simple videos which explain the key aspects of using PnF. WARNING. We have recently given the site a whole new look and have improved many of the facilities. We will update these videos a.s.a.p.. In the meanwhile they are out of date, but remain useful as long as this is clear. 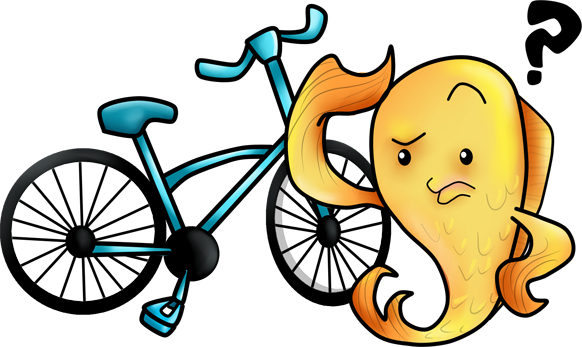 It has been truly said that some people need a computer like a fish needs a bicycle. Flounder agrees, though he is not too sure about computers OR bicycles. 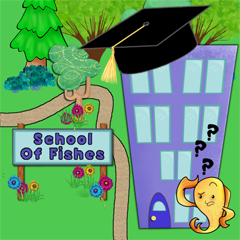 He knows that fish swim in schools, and it is only sensible that they should therefore be in charge of schools. On this site your Head Master is Flounder, and if he looks like he is doing the upside down backstroke next time you see him, he isn't drowning, he's waving! We recommend Chrome for watching these videos. Firefox has specific faults in its video handling and other browsers offer no advantages.